WE have as yet only spoken incidentally of the disappearance of species and of groups of species. On the theory of natural selection, the extinction of old forms and the production of new and improved forms are intimately connected together. The old notion of all the inhabitants of the earth having been swept away by catastrophes at successive periods is very generally given up, even by those geologists, as Elie de Beaumont, Murchison, Barrande, &c., whose general views would naturally lead them to this conclusion. On the contrary, we have every reason to believe, from the study of the tertiary formations, that species and groups of species gradually disappear, one after another, first from one spot, then from another, and finally from the world. In some few cases however, as by the breaking of an isthmus and the consequent irruption of a multitude of new inhabitants into an adjoining sea, or by the final subsidence of an island, the process of extinction may have been rapid. Both single species and whole groups of species last for very unequal periods; some groups, as we have seen, have endured from the earliest known dawn of life to the present day; some have disappeared before the close of the palæozoic period. No fixed law seems to determine the length of time during which any single species or any single genus endures. There is reason to believe that the extinction of a whole group of species is generally a slower process than their production: if their appearance and disappearance be represented, as before, by a vertical line of varying thickness the line is found to taper more gradually at its upper end, which marks the progress of extermination, than at its lower end, which marks the first appearance and the early increase in number of the species. In some cases, however, the extermination of whole groups, as of ammonites, towards the close of the secondary period, has been wonderfully sudden. The extinction of species has been involved in the most gratuitous mystery. Some authors have even supposed that, as the individual has a definite length of life, so have species a definite duration. No one can have marvelled more than I have done at the extinction of species. When I found in La Plata the tooth of a horse embedded with the remains of Mastodon, Megatherium, Toxodon, and other extinct monsters, which all co-existed with still living shells at a very late geological period, I was filled with astonishment; for, seeing that the horse, since its introduction by the Spaniards into South America, has run wild over the whole country and has increased in numbers at an unparalleled rate, I asked myself what could so recently have exterminated the former horse under conditions of life apparently so favourable. But my astonishment was groundless. Professor Owen soon perceived that the tooth, though so like that of the existing horse, belonged to an extinct species. Had this horse been still living, but in some degree rare, no naturalist would have felt the least surprise at its rarity; for rarity is the attribute of a vast number of species of all classes, in all countries. If we ask ourselves why this or that species is rare, we answer that something is unfavourable in its conditions of life; but what that something is we can hardly ever tell. On the supposition of the fossil horse still existing as a rare species, we might have felt certain, from the analogy of all other mammals, even of the slow-breeding elephant, and from the history of the naturalisation of the domestic horse in South America, that under more favourable conditions it would in a very few years have stocked the whole continent. But we could not have told what the unfavourable conditions were which checked its increase, whether some one or several contingencies, and at what period of the horse’s life, and in what degree they severally acted. If the conditions had gone on, however slowly, becoming less and less favourable, we assuredly should not have perceived the fact, yet the fossil horse would certainly have become rarer and rarer, and finally extinct;—its place being seized on by some more successful competitor. It is most difficult always to remember that the increase of every creature is constantly being checked by unperceived hostile agencies; and that these same unperceived agencies are amply sufficient to cause rarity, and finally extinction. So little is this subject understood, that I have heard surprise repeatedly expressed at such great monsters as the Mastodon and the more ancient dinosaurians having become extinct; as if mere bodily strength gave victory in the battle of life. Mere size, on the contrary, would in some cases determine, as has been remarked by Owen, quicker extermination from the greater amount of requisite food. Before man inhabited India or Africa, some cause must have checked the continued increase of the existing elephant. A highly capable judge, Dr. Falconer, believes that it is chiefly insects which, from incessantly harassing and weakening the elephant in India, check its increase; and this was Bruce’s conclusion with respect to the African elephant in Abyssinia. It is certain that insects and bloodsucking bats determine the existence of the larger naturalized quadrupeds in several parts of S. America. We see in many cases in the more recent tertiary formations, that rarity precedes extinction; and we know that this has been the progress of events with those animals which have been exterminated, either locally or wholly, through man’s agency. I may repeat what I published in 1845, namely, that to admit that species generally become rare before they become extinct—to feel no surprise at the rarity of a species, and yet to marvel greatly when the species ceases to exist, is much the same as to admit that sickness in the individual is the forerunner of death—to feel no surprise at sickness, but, when the sick man dies, to wonder and to suspect that he died by some deed of violence. 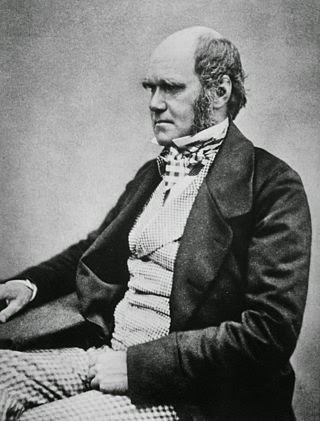 The theory of natural selection is grounded on the belief that each new variety and ultimately each new species, is produced and maintained by having some advantage over those with which it comes into competition; and the consequent extinction of the less-favoured forms almost inevitably follows. It is the same with our domestic productions; when a new and slightly improved variety has been raised, it at first supplants the less improved varieties in the same neighbourhood; when much improved it is transported far and near, like our short-horn cattle, and takes the place of other breeds in other countries. Thus the appearance of new forms and the disappearance of old forms, both those naturally and those artificially produced, are bound together. In flourishing groups, the number of new specific forms which have been produced within a given time has at some periods probably been greater than the number of the old specific forms which have been exterminated; but we know that species have not gone on indefinitely increasing, at least during the later geological epochs, so that, looking to later times, we may believe that the production of new forms has caused the extinction of about the same number of old forms. The competition will generally be most severe, as formerly explained and illustrated by examples, between the forms which are most like each other in all respects. Hence the improved and modified descendants of a species will generally cause the extermination of the parent-species; and if many new forms have been developed from any one species, the nearest allies of that species, i.e. the species of the same genus, will be the most liable to extermination. Thus, as I believe, a number of new species descended from one species, that is a new genus, comes to supplant an old genus, belonging to the same family. But it must often have happened that a new species belonging to some one group has seized on the place occupied by a species belonging to a distinct group, and thus have caused its extermination. If many allied forms be developed from the successful intruder, many will have to yield their places; and it will generally be the allied forms, which will suffer from some inherited inferiority in common. But whether it be species belonging to the same or to a distinct class, which have yielded their places to other modified and improved species, a few of the sufferers may often be preserved for a long time, from being fitted to some peculiar line of life, or from inhabiting some distant and isolated station, where they will have escaped severe competition. For instance, some species of Trigonia, a great genus of shells in the secondary formations, survive in the Australian seas; and a few members of the great and almost extinct group of ganoid fishes still inhabit our fresh waters. Therefore the utter extinction of a group is generally, as we have seen, a slower process than its production. With respect to the apparently sudden extermination of whole families or orders, as of trilobites at the close of the palæozoic period and of ammonites at the close of the secondary period, we must remember what has been already said on the probable wide intervals of time between our consecutive formations; and in these intervals there may have been much slow extermination. Moreover, when, by sudden immigration or by unusually rapid development, many species of a new group have taken possession of an area, many of the older species will have been exterminated in a correspondingly rapid manner; and the forms which thus yield their places will commonly be allied, for they will partake of the same inferiority in common. Thus, as it seems to me, the manner in which single species and whole groups of species become extinct accords well with the theory of natural selection. We need not marvel at extinction; if we must marvel, let it be at our own presumption in imagining for a moment that we understand the many complex contingencies on which the existence of each species depends. If we forget for an instant that each species tends to increase inordinately, and that some check is always in action, yet seldom perceived by us, the whole economy of nature will be utterly obscured. Whenever we can precisely say why this species is more abundant in individuals than that; why this species and not another can be naturalised in a given country; then, and not until then, we may justly feel surprise why we cannot account for the extinction of any particular species or group of species.